The tubes combine sorbent and filter in one tube; a filter to trap aerosols and a two-section sorbent bed to adsorb vapours in one specially constructed glass tube that eliminates filter and tube sampling trains. Aerosols and vapours can be collected simultaneously. Ideal for sampling pesticides, explosives and glycols. 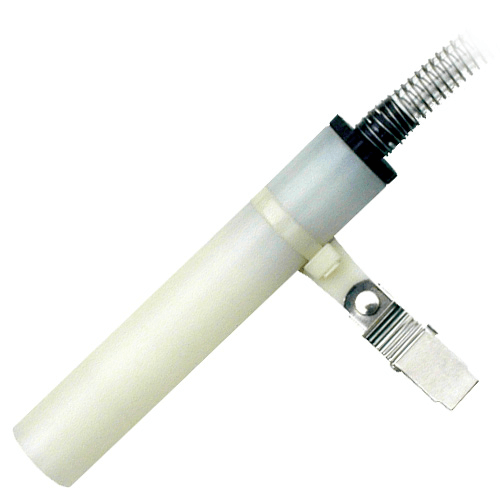 Only cleaned and verified materials are used in OVS tubes to ensure low background interference. A flow rate of 1 L/min is typically used, and the samples are solvent extracted and analysed by gas chromatography (GC) or high performance liquid chromatography (HPLC) with detector. For mixed-phase sampling using a true inhalable sampler that meets ISO 7708/CEN, see the IFV Pro Sampler. The size of all the OVS tubes is 13→8 x 75 mm (Length x OD) and the tubes have open glass ends. 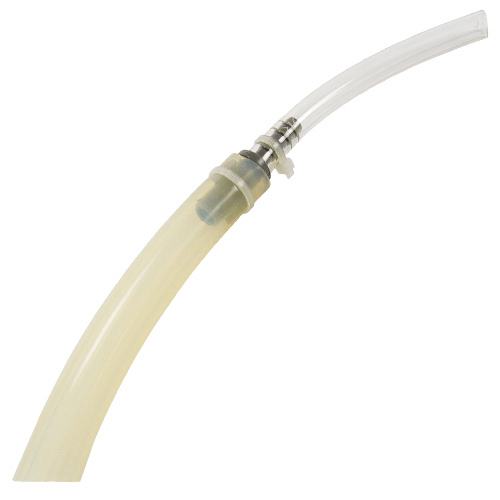 The OVS Tube Holder (224-29V) is designed to accommodate the 13 mm diameter of SKC OVS tubes, provide a convenient clip to attach the tube in the breathing zone, and protect the tube during sampling. Note: All OVS tubes have limited shelf-life; refrigerator/freezer storage may be required. Contact SKC for more information. Includes 2 sections of tubing and tubing adapter. Used to facilitate calibration of a sample pump when using an OVS tube. The tygon tubing is 1/4-inch ID x 3/8-inch OD, the silicone tubing is 3/8-inch ID x 5/8-inch OD.